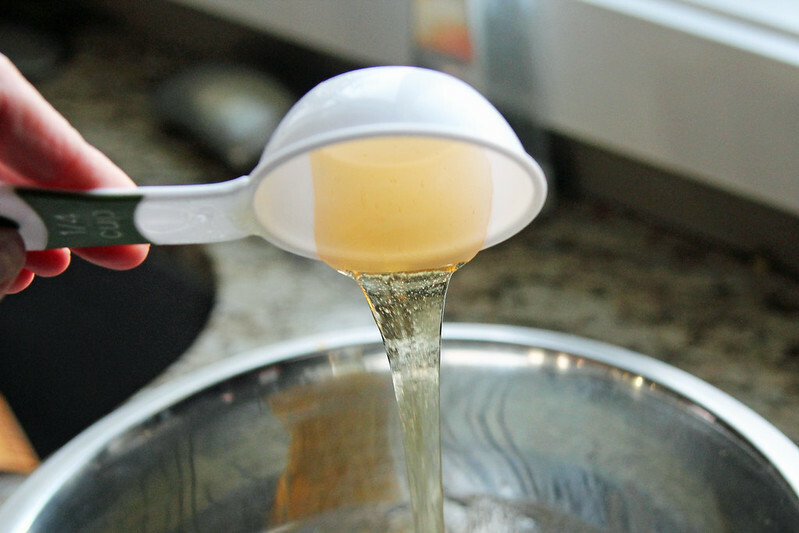 I don’t know where I came across this kitchen hack, but it’s too good not to share! 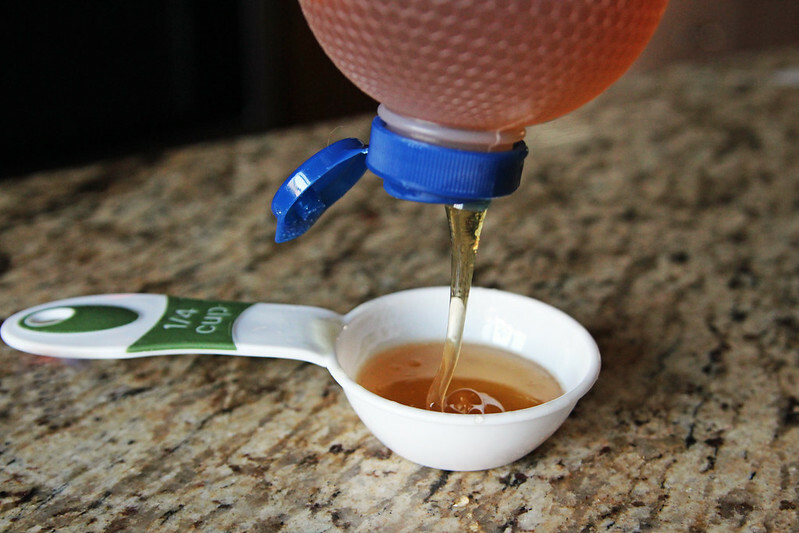 Put those spatulas away, because you’ll never have problems getting the last drop of liquid honey out of your measuring cups! 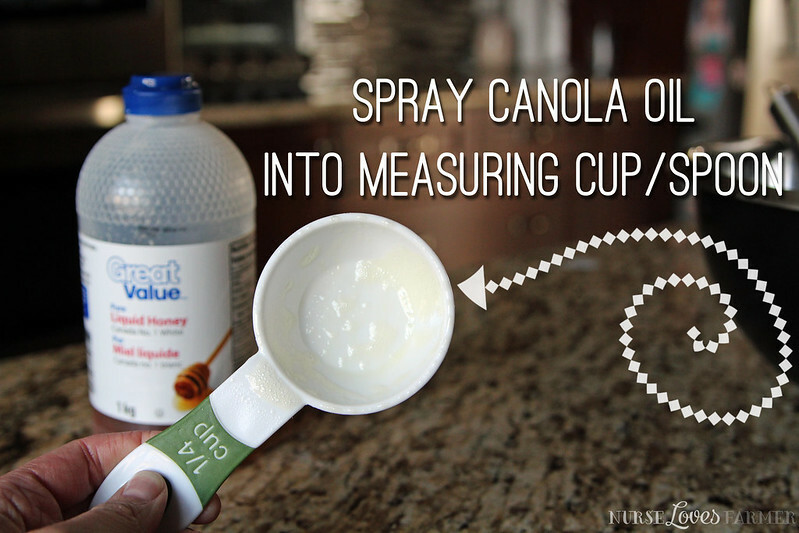 Simply gather a measuring cup, canola spray and of course—honey! « Do I Get Paid To Advocate for Agriculture? So smart!! Thanks for sharing this!! 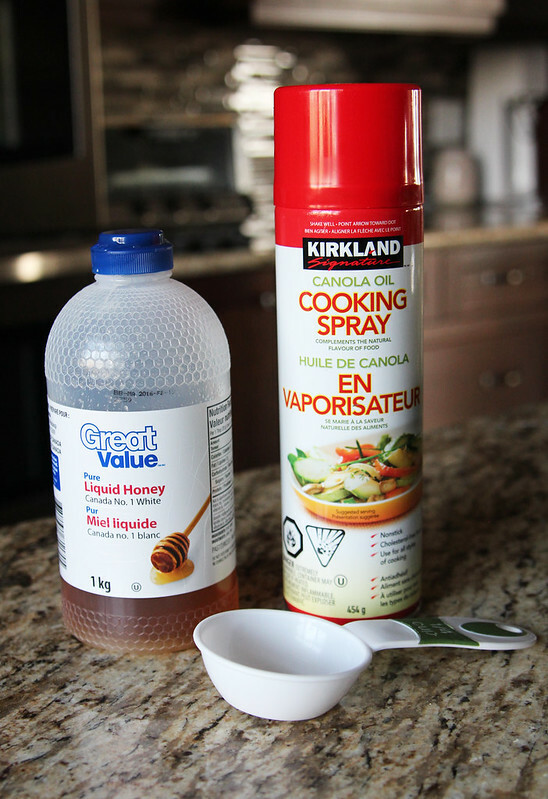 I use honey a lot, I am going to have to try this on Sunday when I make our waters!!! Yes! I need to make a little video to show how neat it is!